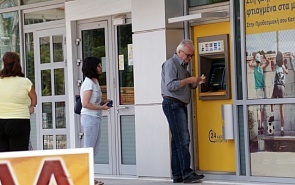 The question posed to the Greek public is confusing and misleading. There is no clear ‘Yes’ or ‘No’ option but an evaluation of a proposal by the lenders, which is not understood in full. If the people vote ‘Yes’ it is not known what the fate of the government will be. Some days ago, the Athens Bar Association officially demanded from the government the full text of the lenders’ latest proposal. Essentially, the voters are being called on to decide on a dilemma whose parts are not really known. The other important issue is that these proposals are no longer on the table since the lenders have officially withdrawn them. Consequently, the people are being asked to decide on a dilemma that no longer exists. The other big question mark is the unknown consequences of the referendum results. If the people vote ‘Yes’ it is not known what the fate of the government will be. The Prime Minister has stated that in this case he would deliver the lenders’ proposals (which are no longer valid!) to Parliament and he would then resign. However, he still has a majority in Parliament. Would the Parliament approve or reject the proposed package? What would his recommendation be, and would his party stand against its purported political viewpoint? A very ambiguous situation, indeed. There are, however, other issues. Even with a ‘Yes’ vote, who can guarantee a positive response from the country’s lenders? They could insist, under pressure from various opponents of Greece’s EU membership, on avoiding any further discussion of the Greek bailout program – especially if the Greek government has failed to pay what is owed to the IMF. A Greek default would then be inevitable. A ‘No’ vote would result in even less optimistic prospects. The government believes that if the people decide to back the Prime Minister’s stand he will be enabled to return to the negotiating table and demand a better deal. However, such a course of events is unlikely given the lenders’ stance thus far. Failure to pay off the IMF could initiate a cross default chain, which would force Greece to declare an official bankruptcy with unforeseen repercussions. There does not seem to be a detailed strategy for the options open to the government in case of a ‘No’ vote. The situation is thus extremely ambivalent and dangerous for the future prospects of the Greek people. The conclusion is therefore inevitable. Greece ought to do everything at its disposal to safeguard its membership in the Eurozone and its EU status. As a European Union member the country can play a more significant role in a turbulent world where a country’s impact is measured by its ability to have its voice heard in influential circles and fora. Wondering in the wilderness does not add to any country’s ability to influence events, let alone create a positive destiny. It goes without saying that the country has to design its own future based on hard facts and sober thinking. Seeking salvation from abroad, be it foreign creditors or other sympathetic countries, is not a viable long-term solution. The Greek government and its people need to look introspectively at solutions that can enable its own abilities and potentialities. I have repeatedly stated that Greece needs foreign investment. This will never appear unless the country becomes an attractive destination for capital placement. With the taxation rates that exist today in Greece, and the subsequent uncertainty that these entail, as well as with an unwelcoming and huge public sector bureaucracy, increased foreign investment is unlikely. It is therefore critical that the country coordinate its efforts to attain levels of efficiency that can remove these obstacles. This can only be achieved with a courageous reduction in public sector spending by means of limiting its size and its consequent intervention in the economy.